Much research on cross-sector collaboration captures only a snapshot of a partnership’s work, but collaborations often last for several years or are ongoing. Examining a partnership over time holds potentially valuable lessons, simply because of the rich source material that comes from several years of collaborating across sectors. Andrea Gerlak, Faculty Research Associate at the Udall Center for Studies in Public Policy at the University of Arizona, and Tanya Heikilla, Associate Professor of Public Affairs at University of Colorado Denver, uniquely contribute to research on cross-sector collaboration by studying a decade of one collaboration’s work in their article, “Investigating Collaborative Processes Over Time: A 10-Year Study of the South Florida Ecosystem Restoration Task Force,” recently published in The American Review of Public Administration. The Everglades, also known as “The River of Grass” due to the prevalence of sawgrass, is one of the largest intact wetland ecosystems in the world. It spans an area twice the size of New Jersey, comprises a series of lakes, rivers, and estuaries, and once served as home to the Calusa, Seminole, and Miccosukee Native American tribes. 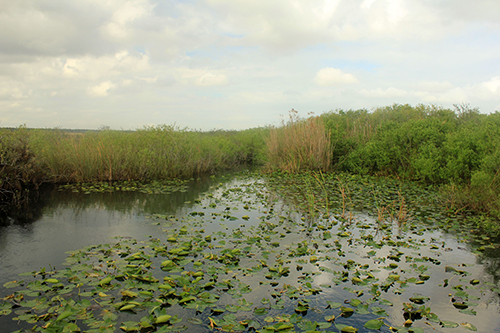 An ambitious and extensive approach to collaborative environmental management in the Everglades, the South Florida Ecosystem Restoration Task Force (SFERTF) formed in 1996 to guide preservation and restoration efforts of this unique and vital ecosystem. The Task Force is composed of tribal, local, state, and federal entities, with involvement from academia, such as Florida Atlantic University and Florida International University, and non-profit environmental groups, such as the Florida Audubon, the National Parks Conservation Association, and the Loxahatchee River Coalition. The stakes for the Task Force’s success are high, with agricultural, development, and flood control needs to address, more than seven million Florida residents affected, and a project cost of $13.5 billion for restoration efforts. To gain insights into the Task Force’s collaborative process, Gerlak and Heikilla reviewed 10 years worth of meeting minutes, interviewed collaboration partners, and reviewed news media and other secondary sources related to the collaboration. Emerging from their research are several actionable takeaways for practitioners involved in complex cross-sector collaborations. Establish communication rules, voting rules, a strategic plan, and conflict resolution procedures early on in the collaboration. In the rush to start to accomplish its goals, a collaboration can often overlook establishing these basic rules, but creating these group rules early is important for two reasons: First, it ensures partners have these procedures ready when they need them and aren’t forced to delay collaborative action to create them. Second, it ensures that partners are creating rules they think are “best practices” that will serve them well throughout the course of the collaboration, rather than creating rules around the context of a particular situation or conflict they might encounter. In a phone conversation with The Intersector Project, Heikilla shared that the presence of ground rules and procedures in a collaboration enables “progress in a sustainable and proactive way.” She likened the complexities of the Everglades ecosystem restoration efforts to a complicated jigsaw puzzle where collaborative partners initially “don’t know where the pieces are going to go together, but they have at least the corners figured out.” Creating these ground rules and procedures at the outset helps keep the collaboration running and allows the collaboration to “move into more technical pieces of your operation,” Heikilla says. The Task Force’s chosen voting procedures involved making every effort to achieve consensus before taking a vote, which they formalized in this protocol. For best practices on how to build consensus among partners in your collaboration, see Tool #10 “Building Consensus” in Capacity Project Toolkit, pp. 31-33. For other methods of decision making that involve varying degrees of consensus, see “Selecting Decision Rules” in Spark Policy Institute’s “Tools for Complex Decision Making.” This Toolkit also includes a helpful overview of conflict resolution procedures, including negotiation, mediation, facilitation, and non-facilitated processes. Partnership agreements, MOUs, and bylaws can be helpful in establishing and formalizing governance structures and decision-making processes early on in a partnership. See “Building an Accountability Structure” from StriveTogether, especially pp. 23-26. In meetings, prioritize activities through which all partners can gain an understanding of aspects of the collaboration that they may know little about — science and technical issues, for example. Not all partners will have expertise in every area of the collaborative’s work. In the Task Force, where collective goals range from supplying water to farms to protecting endangered wildlife, knowledge building is particularly important. To get the partners to think collectively about the Everglades in a way that incorporates diverse priorities, there must be an effort over time to build partners’ expertise on areas that they might not typically think about. With the Task Force’s attention to building collective knowledge, Gerlak and Heikilla observed improvement over time in how Task Force members communicated and understood the complexities of the challenges they were facing, even with staff turnover. For best practices in presenting scientific or technical information to a more general audience, see How to give technical presentations to non-technical audiences. At meetings where members of the public are present, schedule community feedback after one or several agenda items instead of at the end of multi-hour meetings. Scheduling time for community feedback after individual agenda items or clusters of agenda items can result in a spike of public comment, which may help build or maintain the legitimacy of the collaboration in the eyes of the community. For an example of written guidelines for community feedback procedures, see the Task Force’s Public Affairs Procedures. For an example of public comment scheduled throughout a meeting, see a sample Task Force agenda. For research-based insights on the impacts of community feedback on cross-sector collaboration, see The Intersector Project’s Research to Practice: Engaging Citizens to Improve Outcomes of Public-Private Partnerships in Transportation.